The game is a new version of Final Fantasy with increased challenge, new classes, new items, spells, and story. It is sort of a mixture of Final Fantasy I and an original fantasy setting. The readme file explains the new classes, the challenge can vary greatly based on your party. Most of the enemies have new graphics, and the ones that donâ€™t do have new stats at least. There should be some fun twists and challenges, and there are 12 classes to pick from, right at the start, no class upgrade halfway through. Itâ€™s like Final Fantasy with a bizarre twist, but there are still swords, axes, magic, guns, airships, and stuff like that. 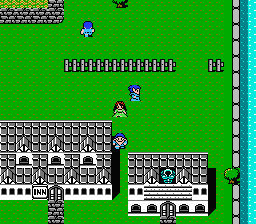 Many of the graphics were modified sprites from other NES games or just outright pulled from them, so its kind of post-modern. I love this game but I get stuck in certain areas and can not get back to town. Need fix or a walk any where spell or hack. This is one of the best hacks I ever played and I have tried them all for ff1. Thanks for any help you can give. 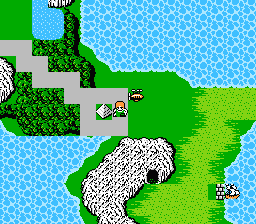 This hack is awesome although, the main overworld map must be modified with an editor at some points to move on. It's still worth it, best ff1 hack I have tried yet.